Sleep like royalty, even if only for a weekend, at the Palazzo Tolomei. This hotel, previously a private mansion, which was home to the Taddeis family who played host to Raphael, is an exquisite hotel with a history and style not to be found anywhere else in the world. A stone’s throw away from the Florence Cathedral, the Palazzo Tolomei has only eight rooms, each one the size of a modestly-sized Parisian apartment. Its current owner, Daniela, who transformed the residence into a hotel, is a lovable Italian signora who welcomes and treats all her guests like visiting family members. The gem of a hotel has seven communal rooms where guests are invited to nestle into, my favourite is the music room, which features an authentic fresco on the ceiling and Italian classical music playing in the background. You cannot be in Italy and not enjoy a great pizza. 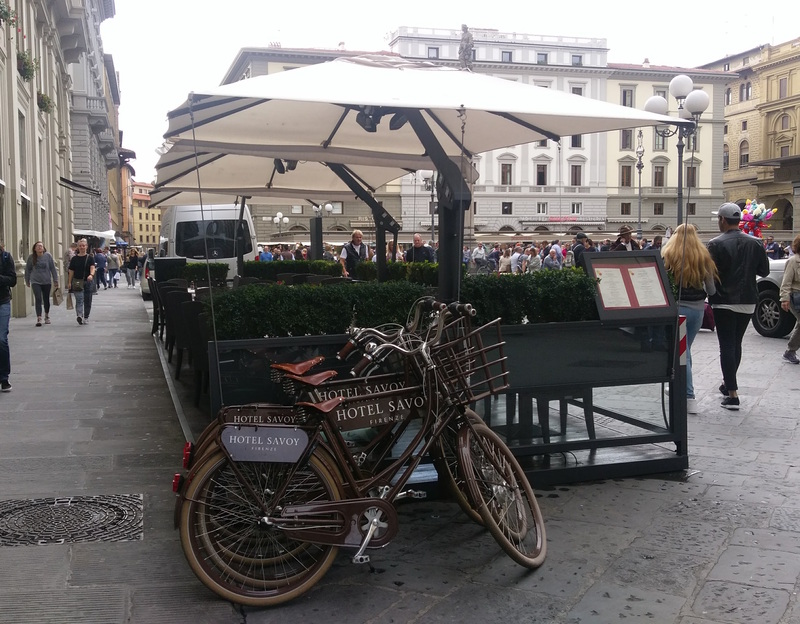 Across the road from the Palazzo Tolomei is Simbiosi, a local pizzeria that serves organic, wood fired pizza. 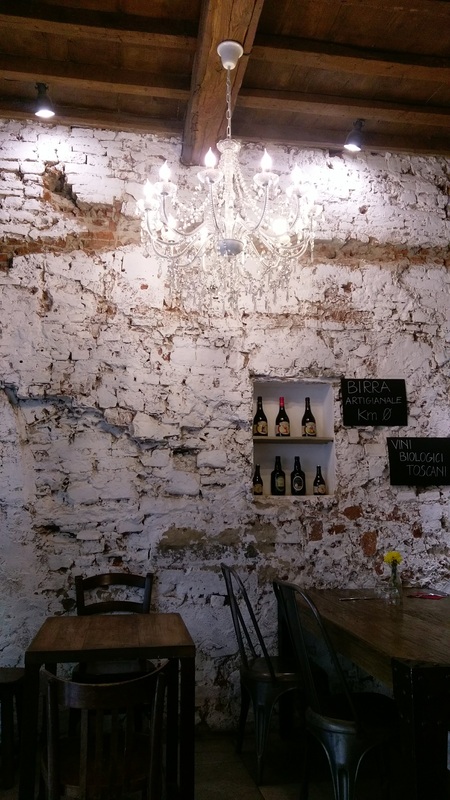 Bare and exposed brick walls and a crystal chandelier hanging from a wooden beam ceiling set up the chic hipster decor of this restaurant where the locals enjoy pizza and wine for less than 20 euros. 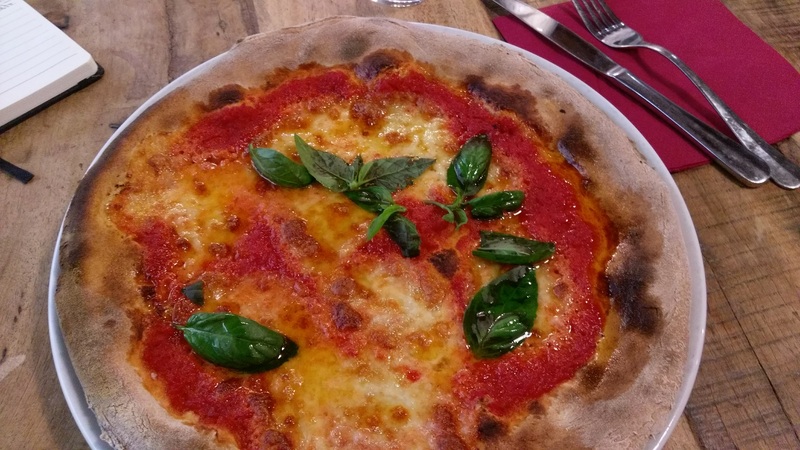 A Margherita pizza and a glass of organic Tuscan wine will set you back an undeniably affordable 10 euros, though it isn’t how affordable the pizza here is but how good it is. Not too thick, not too thin, and with the perfect ratio of sauce and cheese, the pizza here is one of the best, and it is organic! 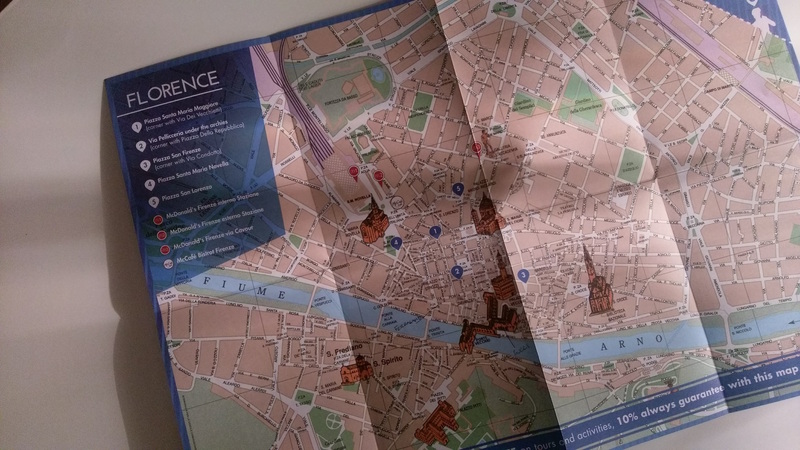 You’re checked in, fuelled up on a traditional pizza, now it’s time to discover the fashionable side of the city. 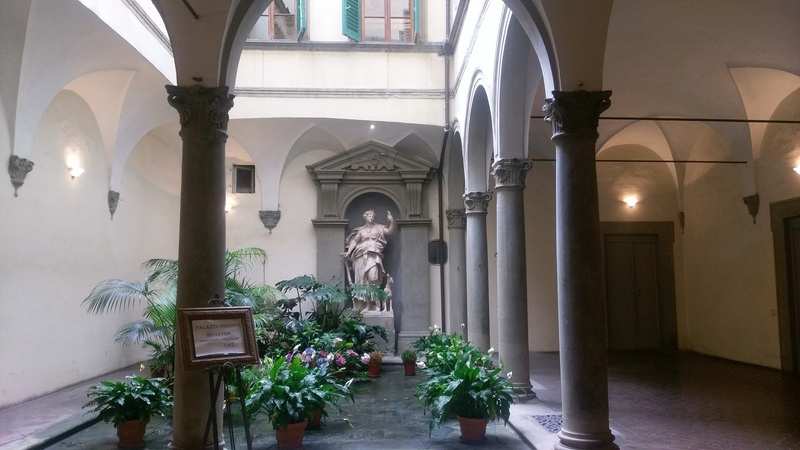 Spend your day zigzagging your way through Florence and get lost in its beauty and eavesdropping on the locals as they catch up in their sing-a-long language before stopping for a little bit of culture, fashion culture. For lovers of fashion a stop at the Ferragamo Museum is a must. Found next door to the Italian house’s gorgeous boutique, the museum celebrates the relationship between art and fashion. 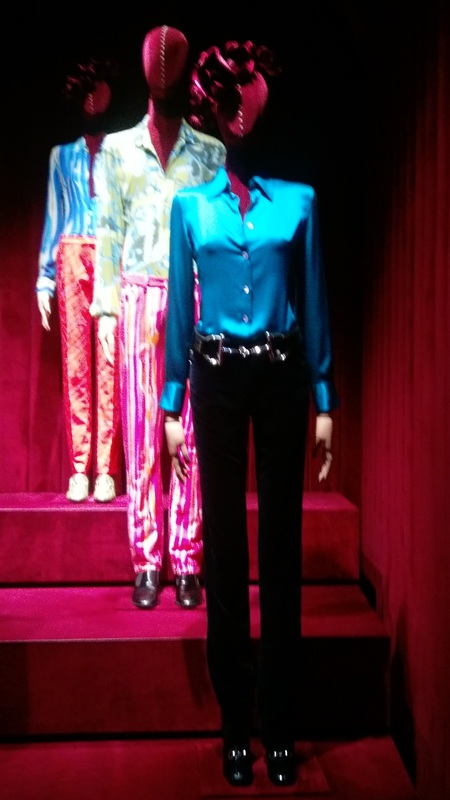 Another museum not to miss is the Gucci Museum, small and easy to squeeze in during a day of sightseeing, the museum takes you on a journey of fashion. 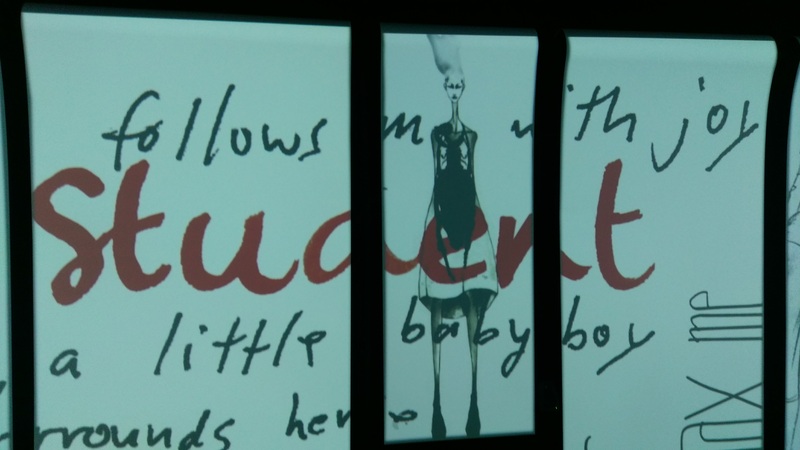 If you’re anything like me and loved it when Tom Ford was the Creative Director of the Italian house then you will love the current exhibition at the museum. Take a trip down memory lane and discover the Tom Ford rooms and see pieces from the 90s when Kate Moss was still walking the runways, modelling Ford’s now iconic creations. Another interesting space is the Bamboo room, where you can see how, and discover why, the iconic Bamboo bag was created. Feed your need for fashion after being inspired by past collections and enter the world of Luisaviaroma. The high-end multi-brand boutique is curated for fashion aficionados where the latest collections from Roger Vivier, YSL and Givenchy are all gorgeously presented and just waiting to be chosen by international fashionistas. A day spent devouring fashion, past and present, needs to be quenched with a well-deserved cocktail, and for the perfect evening cocktail Hotel Savoy is your next stop at the Piazza della Repubblica. Overlooking the Piazza with the joyful merry-go-round in its centre, the hotel’s restaurant and bar, Irene, serves up contemporary Italian cuisine but more importantly some great original cocktails. If you enjoy sweet and sparkly drinks then Serendipity is for you. The delightfully accidental fortune of a cocktail is made with Calvados, sugar, apple juice, Champagne and a sprig of fresh mint. Salute!